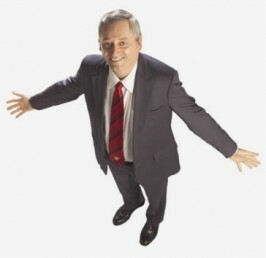 Get RON LEGRAND QUICK TURN REAL ESTATE MILLIONAIRE MAKER on senselearn.com right now! Here’s What It’s All About! 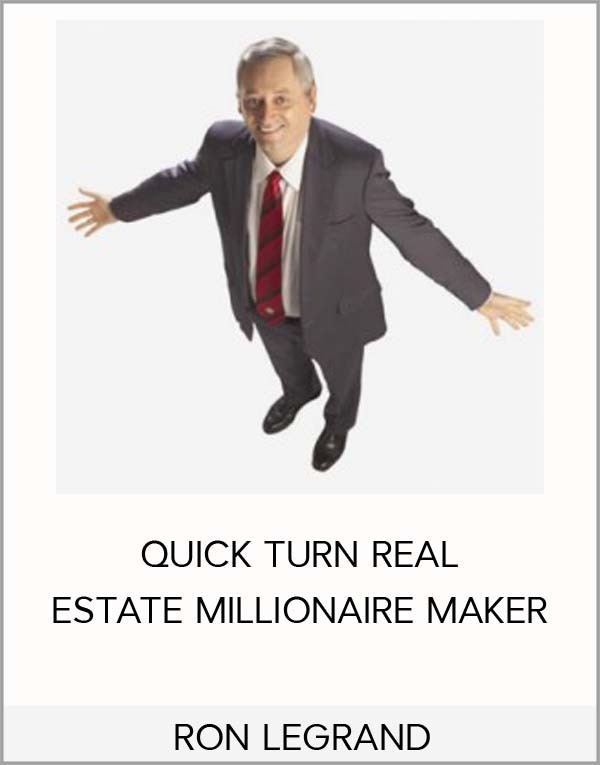 There are 5 Steps to success in the quick turn real estate business or any other for that matter. All five of them will be covered in four days by combining my best marketing techniques with my most profitable acquisition and prescreening techniques and throw in the best and most valuable secrets I know about selling houses fast. We’ll crack the code on real estate investing and place you in a position of power with easy to implement steps anyone can do quickly to get big checks. Every single step will be covered in the process of getting in, getting out and getting paid at lightning speed with a steady flow of inside information only I possess. I’ve made a commitment to put the best of the best into this event and make it available to a select list of movers and shakers who can make a decision and take action. I’ll warn you in advance the days will be long. I can’t do it any other way. I’m cramming 11 days into 4 and it’ll take all the time we have, so expect to work late. Because of the limited space and my unwillingness to overcrowd this event every seat counts so I should disclose that you may bring your spouse, child, parent or significant other at no additional cost, but all others must pay full price. The bottom line of day one…it’s all about getting motivated sellers to call you with both pretty and ugly houses for sale…strategies that are designed to work in any market. The strategies you’ll discover have been perfected over the last 20 years and over 1,500 properties I’ve bought and sold and thousands done by my students. Picking out only the Marketing gems that work the best and share them all with you in one intense day. MARKETING STRATEGY #1 – 17 Ways To Get Low Cost Advertising Working For You. Little-known ways to get your flyers inexpensively distributed or, even for free! 2. The number one element of an ad that gets sellers to call. 3. Get the top ten words proven to generate leads like gangbusters. 4. How to get other businesses to pay you so you can run your ads for free. 5. How saying less will generate more leads. 6. How the Law of Reciprocity makes owners want to sell to you. 7. Discover new ad placement strategies to pull sellers out of the woodwork. MARKETING STRATEGY #2 – How To Get Positive Publicity For FREE! Read The Newspaper…And There Are A Lot OF Them! How You Can Do 3 Deals A Month With Zero Marketing Costs! Ready for another moneymaking gold mine? Some of the most successful real estate entrepreneurs in the country use the postal service to get maximum results with minimum expense. Even 1/10 of a percent response can make you successful beyond your wildest dreams. How to increase your response rate while reducing your costs, putting additional profits on your bottom line. How first class mail will save you twenty percent on your mailing costs. How to ensure your letter never gets thrown away until it’s read and also costs less to send! The five ways to make sure your letters get opened, read, and responded to at lightening speed. 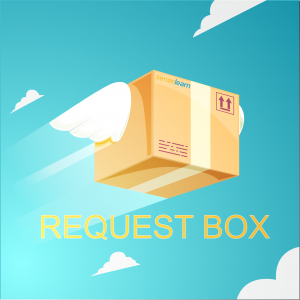 How to send a letter to every possible prospect in your area, absolutely free! WOW! How to make your letters look like express mail, without paying a cent more than regular first class postage. My most successful technique ever on how to get people in foreclosure to call you with the best deals you’ll ever do in real estate. Foreclosures are at an all time high right now and my students and I are making an absolute killing in this part of the business. Rest assured we’ll be devoting a lot of time to getting these hot prospects to call you. You’ll have an unfair advantage over your competition after this boot camp. How one student made $805,000 last year by mailing a total of 12,000 letters the whole year. I think you’re getting the picture already….the motivated sellers will begin lining up to sell you their properties. But remember, I said you’d also learn how to work less and create even better results…. So, at this early point of the Boot Camp you’ll already have all the secrets and strategies you need to have more sellers calling you than you’ll know what to do with. So, if we are trying to Work Less & Earn More, we’ll have to spend some time helping you get on auto pilot so you can free up your time and your mind to make the really big money. Doing it yourself costs you thousands. The leveraging system you’ll discover will show you the best way to handle those incoming offers at the lowest cost and highest yield. How to get hot leads from people willing to do all the work for you. “The Ant-Farm Strategy”. 2. Why outsourcing is your most profitable solution so you can do real estate part time and make a full time income. 3. How temporary “contract employees” can be your key that opens the vault. 4. How to implement and automate just two marketing strategies, as I do, and get all the good deals you want every month and work less hours than it takes to attend one football game. We’ll show you exactly what I do and how I run my extremely part time real estate business averaging four deals each month with a net profit over $30,000 each. The bottom line is no one can offer you more complete real estate marketing information than what you’ll get during this intense boot camp. We’ll provide you with every strategy you need to ensure you have motivated sellers lining up to do business with you so you don’t miss good deals. Whether you’re a beginner or a seasoned ‘pro’, this first day will have your mind racing at warp speed and is exactly what you need to “jump start” your buying machine in any market. And Day Two is designed to take you to the next level….. Ugly houses are great for quick, easy cash when you wholesale, and even more money when you retail….and Pretty houses (with little or no fix-up required) will boost your income even quicker! So, from all of the marketing secrets you discovered in Day 1, you’ll now have a long list of motivated sellers, with both ugly and pretty houses. The big question is, “How do I close these deals?”. We’ll focus on pretty houses first because it’s one of the fastest ways to a big check. 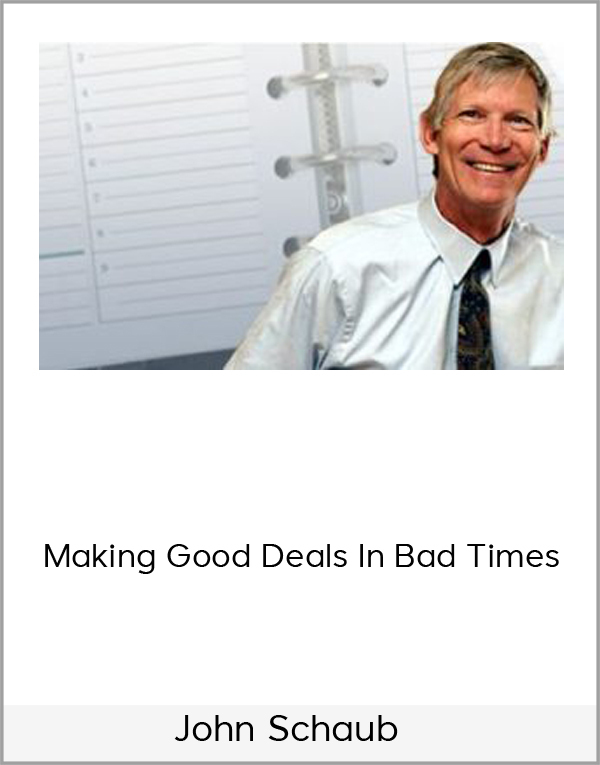 Providing you the most unique and powerful deal closing strategies ‘known to man’. From zero-down strategies to under-list price strategies you’ll discover each and every one of them – and the best news is you’ll practice them so when you leave, you can approach any of your prospects with confidence…allowing you to close the deal on your terms! The More Dollars You Wallow In, The More Stick To You! You’ll be taught not to fear higher priced houses or big monthly payments because we’ll remove the risk off you and show you how to make the seller understand why you can’t make his/her mess your mess. When you learn this, it will open amazing cash flow doors that’ll make you want to quit your job immediately…..just as most of my millionaire club did. And You Get Not One, But Several Paydays! Many real estate entrepreneurs pass over perfectly good properties and extraordinary profits because they’re so locked into only one or two ways of doing business (by buying low and selling higher). In Real Estate Is To Become A Transaction Engineer! The true real estate investor makes money regardless of the house, price, or underlying financing….they become Transaction Engineers: problem-solvers who get paid well for solving sellers’ and buyers’ problems! Let me give you some examples of two deals I’ve personally bought recently, (yes I still do real estate deals every single week). I guess that makes me a little weird. I actually practice what I preach. Imagine that. The first deal is a house worth $230,000 with a loan balance of $114,000. I gave the seller $2,000 and made up $22,000 in back payments when I sold the house so all I used was $2,000 of my money. That put my cost at $138,000 ($114,000 + $22,000 +$2,000). The house needs about $10,000 in upgrades; however, a Realtor brought me a contract from a buyer for $200,000 as is. That means the buyer got a good deal and I’m in and out in one week with no repairs, no hassles, and a nice profit. Let’s see, $200,000 minus my $138,000 purchase price and costs, equals about $55,000 in net profit after I paid the Realtor. I bet they don’t teach this stuff at Harvard. This second deal was much less dramatic and lot less profitable, but pathetically simple and easy. This is the kind of deal you’ll be doing dozens of quickly after this boot camp. A motivated seller needed debt relief….so I solved his problem. The property I picked-up was worth $95,000. He owed $72,000 on his mortgage and was current. He asked for nothing so I gave him nothing, except debt relief of course (you’ll learn the magic sentences to use for this.) The house is in move in condition. I lease optioned it out in 3 days for $99,000, got a $5,000 earnest money deposit and will make $120 per month cash flow. Not bad for a free house. Compare that to what you do for a living. I put out no money and got back $5,000 in 3 days and didn’t touch the house or personally guarantee any debt. Plus, I got $23,000 in free equity and a nice tax write off and didn’t use one penny of my own money or credit. It’s not a killer deal but everyone involved was happy with the results. Ask yourself how many of these would you need per month to surpass your current income? 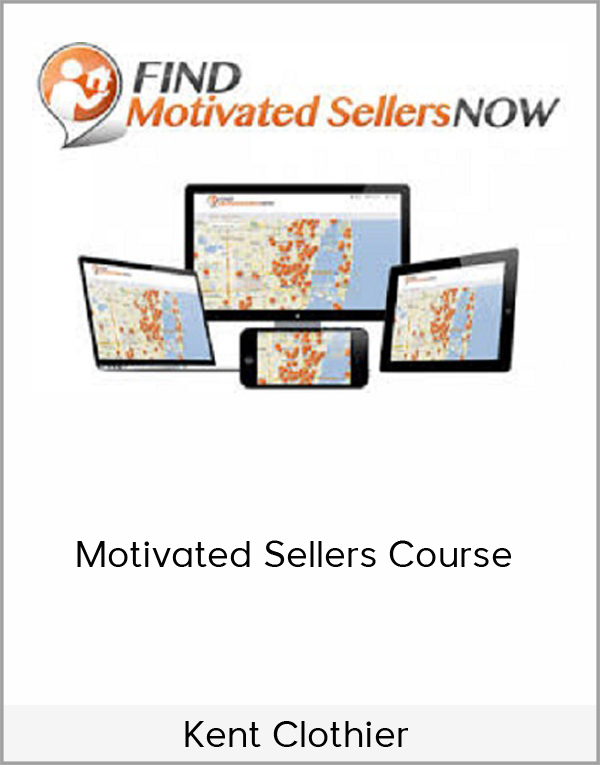 We’ll explore and learn dozens of ways to make money from the motivated sellers you generate from Day One’s strategies. Just look at some of the topics we’ll cover in day 2…. How to pre-screen callers in seconds so you can deal with only the cream of the crop. This one skill alone will make you a fortune and eliminate most of your wasted time. How to make the seller your partner, to create nothing down, high profit, win/win, killer deals! How to live in a house 3 times what your banker says you can afford, and pay no more than you’re paying now! How to literally have sellers begging to give you their houses, FREE – even in a hot market! Many students get paid by the seller to take the house. How to take control of and profit from any house, regardless of underlying financing or condition. How to profit from gorgeous houses in prime areas without ever owning them, with practically no risk and huge rewards! We’ll examine and practice real-world strategies (selling methods) until you master them and feel comfortable making these offers on your own! 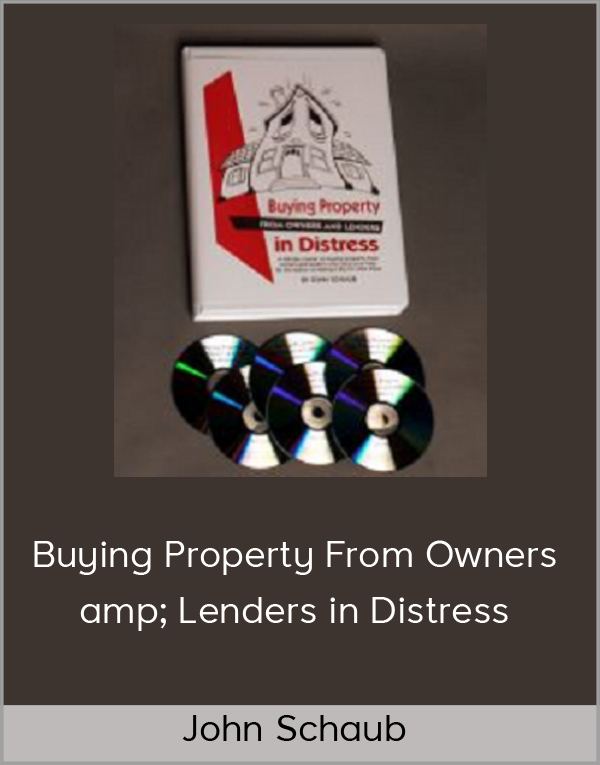 How to protect yourself as you buy and sell, so you can avoid costly problems! And Actually Negotiate As Part Of Our Training. We’ll practice answering sellers’ objections in a “no lose” way, to put them at ease…ready, willing and eager to work with you! Real sellers have real questions, and objections. You won’t leave until we’ve covered every base and you can enter these negotiations with confidence. And I promise you this…. Will Increase Significantly After This Boot Camp. In this 2nd Day we spend one FULL day exploring the world of Getting Ownership Of Pretty Houses with no money or credit and how to become a transaction engineer. Not only on examples from the front of the room, but also right on your own prospects you bring to the Boot Camp. We’ll remove your mental blocks and free your bonds so you can leave the class and do a deal within 14 days. We’ll make sure you never worry about making big payments on vacant houses or where you’ll get the money or can you qualify for a loan. Forget all that nonsense. You won’t need money and you’ll never qualify for a loan or personally guarantee debt in my world. It’s forbidden. Buy Your Own Leads And Make More Than Your Tuition By Letting Us Help You. We encourage you to bring in your own prospects, pretty or ugly, and let my staff work with you one on one. We’ll help you structure offers on real deals and make you feel comfortable you’re doing the right thing. If we need to we’ll pick up the phone and call the seller to seal your deal right there. We’ll do what it takes to put you on the fast track and get a check quickly. At the end of this letter you’ll see why that may benefit me almost as much as it does you. I want you to succeed and my entire team will work tirelessly during and after the event to insure you do. More on that later. If we stopped here at day two, you’d have more properties and prospects than you can even imagine….but we’re stepping it up one more notch. On day three, we open the vault and will be revealing my time tested and proven techniques to make fast, easy and almost passive income with ugly houses. In the third day we’ll make sure you know every step of prescreening, estimating repairs and making offers on every junker in your city. You’ll learn the Art of Wholesaling, one of the fastest ways to pick up a $5,000 check in real estate. Many do their first deal in less than 30 days. Some do 4 or 5 deals per month netting $5,000 to $15,000 each and never own a home. Wholesaling is an incredible business you can do part time to easily surpass your current income. You simply find the bargains and quickly flip to a bargain hunter. I’m single handedly responsible for starting and systemizing the wholesale craze in this business. I just completed a wholesale deal of my own this week where we bought a junker for $31,500 and sold it for $45,000. Never touched it. Didn’t even clean it out. Netted over $13,000 and never spent a penny of my money. We’ll also discuss retailing houses to get to the big bucks in the ugly house business. You’ll see how some of my students net over $50,000 per house and how just a few of these a year on a part time basis can quickly replace a full time job swapping hours for dollars. Where to find the best deals no one else knows are for sale. How to make offers in seconds to insure your profit and eliminate guessing games. How to quickly estimate repairs without using a pencil or calculator. How to set your wholesale price and attract only serious cash buyers. How to make 10% more every time you retail a house. How to get them ready to sell so they move quickly and you get the highest profit possible. Where to get the money to buy and rehab houses even if you’re dead broke, bankrupt or just got released from prison. Your credit or financial condition is irrelevant. And That’s Only Day Three. In case you’re wondering I’ve always got houses in some stage of retailing. My most recent deal was purchased for $22,500, then we spent $14,000 on repairs and it’s on the market for $84,900. We’ll let you know what it netted at the boot camp. By the way, I don’t have a dime of my money in this house, I didn’t attend the closing, I’ve only seen it once and I’ll never talk to the buyer. Gosh, I actually do this stuff I teach. This 4th day will really drive the Work Less – Earn More theme home into your life. Day four is all about selling properties – in this business this is where the “rubber hits the road”…. and the profits begin to flow to you. Selling houses for maximum money in minimum time is really a simple process when you apply my secrets learned selling over 1,500 houses. And, because selling property is so important, we’re devoting a whole day to it….giving you an immediate edge in the marketplace. Let me be blunt….selling your properties quickly and at maximum profit is the key to the kingdom and you can master it with a few simple steps. If you sell houses like everyone else does, you’ll get the same boring, low profit results. Those types of results will not make you successful – but what I’ll be revealing to you will. How do I know? That’s more properties than most real estate agents list or sell in a lifetime. That means over 2,800 transactions…buy and sell, that’s a ton of real life experience. It took me about three years into the business to figure out that the old stale plan I’d learned from the real estate agents wasn’t working. So that’s when I developed the unique and very powerful strategy that you’ll become a master of during Day 4 of this Boot Camp. If you sell houses and waste your time talking with or waiting for buyers, it’s time to stop the insanity and get your life back. Remember, this whole Boot Camp is all about “Do Less – Earn More”….and day four will ensure that’s exactly what happens in your life. We’ll cover all the patented strategies I do to maximize my sale price and minimize the time I have to ‘waste’ selling. In fact, you’ll discover how to put it on ‘auto-pilot’, where the buyers sift and sort themselves so you only deal with the serious ones. When you put it all together, Here’s How Your Future Will Look…. Prospective Buyers flood your voice mailbox as a result of your inexpensive marketing campaign. The voice mail lets them decide what they want to hear, answers their questions, and even gives them directions. It prescreens and dumps the worthless callers – and you only hear from the serious ready to act now buyers. The prospects go see the house on their own….without talking to you first, and then call or fax their application to you only after they know they want the house. You talk to them only after they have seen the house and have decided they want it. You have them prescreened quickly for free and pick the best of the best to process while not even taking the house off the market. This has nothing to do with a back up contract. You’ll learn who has the most down payment and the best credit without talking to a single buyer. The cream will rise to the top without your participation. The mortgage broker or loan processor, if applicable, meets your buyer, gets their deposit, takes their application and calls you when it’s approved. If you’re selling a wholesale deal this step is eliminated because there is no loans involved. You show up for closing and pick up a check. In fact, I don’t go to closings. I have the paperwork and check delivered to me. So will you soon. You’ll learn how to attract so many calls from quality buyers you’ll wish you had a lot more houses to sell. You’ll be building buyers lists for each category and advertising will be something you only do occasionally, instead of every time you get a house. PLUS, you’ll discover some incredibly effective ways to unload problem properties – and still maximize your cash. In fact, you can bring your ‘problems’ to class and we’ll use it for an example and give you a step-by-step plan. Wait until you see my newest plan to sell high priced properties. It’ll blow you away. I’m currently using it now and it works like magic. This session alone is worth the whole trip and you’ll get it on a silver platter. Frankly, anyone who intends to buy and sell houses and chooses not to attend this boot camp should be examined for a psychological disorder. And that includes licensed agents who sell for a commission. I promise you a life changing experience if selling houses is a big part of your life or you want it to be. Remember, it’s all about….The Less I Do, The More I Make. There are Five Critical Steps to making your real estate investment business the best it can be….and in this 4-Day Boot Camp we’ll be covering them all in detail, so you are confident with each and every step. Locating Motivated Prospects – Buyers & Sellers. You’ll become a Guerilla Marketing expert – providing you more buyers and more sellers than you’ll ever need. Prescreen Prospects. You’ll have a system that pre-screens and does the work for you – automatically, so you can spend your time on your business, not in it. Construct and Present Purchase & Sales Offers – That’s right, Purchase & Sales Offers. This will require a lot of class time because it’s the key that unlocks the vault. There are a lot of ways to buy and sell houses ….some right and MANY wrong. We will focus only on the strategies that work for YOU. We’ll make you a transaction engineer in 4 days and make it so simple an idiot could understand and implement it. Follow Up. – There’s very little paperwork involved and it will only take a few minutes to cover it but we’ll make sure you understand what there is and feel comfortable with it. Close Quickly. Every day is critical when you’re selling. Learn how to shortcut the process to a few days, not weeks and pick up a check for several thousand dollars every 7 – 10 days. Nowhere else on earth can you experience what we do at this boot camp. You’ll be participating in class exercises, negotiation, structuring deals, answering objections and picking the brains of experts. No, my friend. You can’t get this stuff from any book or tape. Not even mine. You must be there in person for this once in a lifetime experience. If I’m right about you, I believe you have what it takes or you wouldn’t have been hand selected to receive this letter. I’m a big believer in prescreening, as you probably already know. I set aside several hundred names to get to yours based on your past performance and commitment. OK Ron, Give Me The Bad News! I know. You’re worried what this will cost. Right? It does sound expensive, doesn’t it? Well, what would it be worth to you to jettison your job and live the way you want? What would you spend to be able to take four vacations a year and go wherever you want, stay as long as you like, shop in the best stores while you’re there and not have to worry what was happening at home while you’re gone? What would it be worth to know your children (and your grandchildren) are attending the best schools now and their college is paid for long before they get old enough to attend? If you could awaken every morning full of excitement and newfound enthusiasm about life….if every day was a pleasure to go to work because you can’t wait to get started, would the cost of my boot camp be something you’d figure out a way to cover? If I could help you generate more revenue than you need to live on so you can use some of it to set up your own charities, tithe more at your church and help others in need, would you pay the price? When you go into a fine restaurant with your spouse, do you look at the price to decide what to order? Don’t you think it’s time to stop that nonsense? The Cost Of Education Is Cheap Compared To Ignorance. It amazes me how most people think nothing of buying a car or other toy worth thousands of dollars but when it comes time to buy financial freedom it’s such a major decision. How much did you spend on vacation last year? What have you got to show for it? If I charged you $25,000 you’d be getting the deal of a lifetime. One little deal would recoup your entire cost. That’s a proven fact. Well, it’s not twenty-five grand so you can relax. The price is only $4,995 for the full four days….and that includes your spouse or significant other, or a child, or a parent and some more goodies I’ll add in a minute, and I’ll even show you how to get it free. In addition, the tuition is tax deductible along with the travel expenses. Let Uncle Sam help pay for your education. Of course you should verify this with your accountant. Since it’s an event we won’t be charging you sales tax. That’s several hundred dollars in savings to you. I just bought a $6,000 hot tub and paid over $400 in tax. No tax here. Gee, that’s a comparison for you. I spent six grand on a lousy hot tub and you’re getting a multi-million dollar education that will serve you and your family for the rest of your life for the same price. Less than one fourth the average deal will net you and probably less than one semester in a middle of the road college. What a bargain indeed! It’s simple really! You may attend the first day of the event and if you’re not thrilled with what you learn you may ask for and receive a prompt and courteous refund for the full amount. Then, you have 6 months to make back at least twice the cost or its free. All I ask is you show us you’ve made some offers and tried to succeed. What Happens If You Don’t Attend? Nothing, I guess! If you don’t have any use for a flood of motivated sellers begging you to take their house, or if you’re making enough money now, don’t attend. We’ll probably have a great event without you. I know this, the average profit per deal from my students nationwide is now $27,200 per house, and…. How Many Can You Miss While You’re Waiting Until It’s Convenient? Truth is, it will never be convenient. It requires a few thousand bucks and four days away from home. It’s a pain whenever you go…so it might as well be this brand new and exclusive Blockbuster Boot Camp. Couch potatoes, whiners, complainers or anyone else who feels the world owes them a living or who won’t take responsibility for their own actions. I don’t have the patience for them. Anyone who must take food off the table or not pay the rent to raise the money. I know six grand will be a bite for some and for others no big deal, but please don’t deprive your family of the necessities of life. My whole purpose of doing this event is to help you achieve financial freedom but it will be worthless to you if you lose your family in the process. Anyone who thinks they can sneak in or break the rules to attend free. It ain’t gonna happen. Remember the average net profit from a Boot Camp deal nationwide is $27,200. That’s one deal. I can’t promise you twenty-seven grand on your first deal but what if we just shoot for the five it costs to get your education? Is that fair? Besides, these four days will take the place of several boot camps taught by others costing $10,000. Plus you’ll save big on travel costs because you can knock it out in one trip. Besides, it’s tax-deductible if you call it a business expense, as you should. That means the tuition and travel are subsidized by the IRS. God bless the IRS. Just to make this an irresistible offer, one I hope you can’t refuse, I’ve decided to add several more reasons why I think you should attend. I call them…shameless bribes. Shameless Bribe # 1 – FREE Audios of a previous Millionaire Maker Boot Camp. 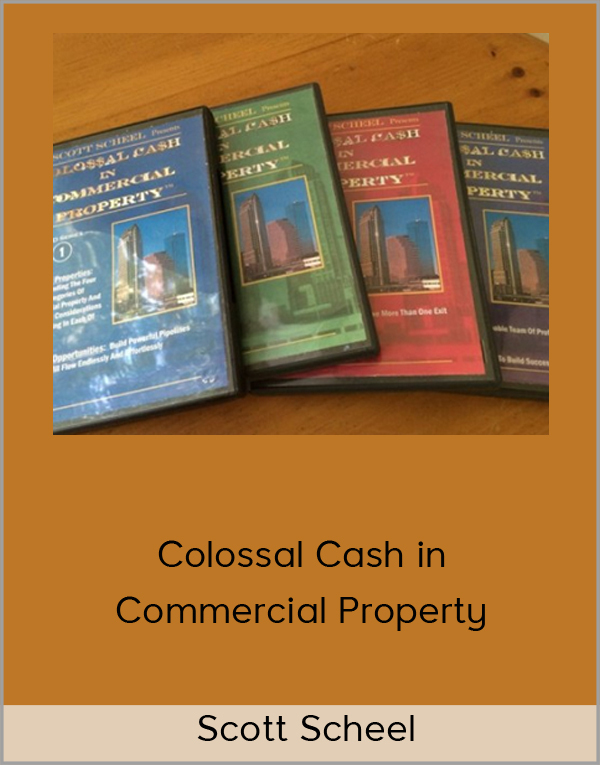 I recorded and edited on to CDs a million-dollar education you can refer back to any time you need. I’m going to send you this entire boot camp on audio absolutely FREE after you attend the live event! Shameless Bribe #2 – 90 Day Phone Hotline After You Attend The Boot Camp- We’ll supply you a special phone number leading to my right hand man who personally does 3-4 deals a month. His responsibility is to be your guide when you get stuck on anything and need someone to talk to. You can call us as often as you like for 7 hours a day, 5 days a week. Shameless Bribe #3 – I’ll Make You A TV Star- I’ll be filming a new TV show this year and I’m looking for testimonials. I can only use those who’ve been to this boot camp, done some deals and can prove it. If you qualify I’ll fly you to the exotic location, wine and dine you like a king and make you up prettier than you’ve ever been in your life. Being on my show will change your life. You’ll be a legend, a hero to all your friends. At least that’s what my past TV stars tell me. It’ll certainly be an experience you won’t forget and a service to all those who follow you. I’m looking for winners and frankly that’s one of the big reasons why I want to work with you for 90 days afterwards. But here’s one even better. Shameless Bribe #4 – I’ll Be Your Partner For A Full Year- I’ve never offered this before in my entire 14-year career of making real estate millionaires. For the first time I’m willing to partner with some of my students on deals. It’ll be a 50/50 split and I or my right hand man will work with you for a full year after the boot camp on worthwhile deals and do what it takes to get you and I a big check. That means if we have to call the seller or the bank or even fly to your city to see the property, that’s what we’ll do. You do most of the work and we’ll do what you can’t and guide you every step of the way. Then we split the profit. I’ll only do this for boot camp grads and then only on deals worthwhile. You’ll get the rules at the event and yes, that means even if I have to supply the money, I will. Please don’t consider this a guarantee I’ll be your partner and you’re under no obligation to do so. But I’ll tell you one thing for sure. If you and I partner on a deal your half will have at least 5 figures and maybe 6. I can’t tell you how many deals I’ve pulled from the trash because students are afraid or just can’t see the money… I CAN! You could easily shave three years off your learning curve implementing a deal with me at your side and get a huge check in the process. Shameless Bribe #5 – I’ll Refund Double Your Tuition- That’s right! I’ll give you back twice what you pay to attend if you and I partner on a deal. That means if you pay $4,995 you get back $10,000 from my half before I get paid. If we do a deal that nets $50,000 you’ll get your $25,000 plus $10,000 more from my profits. That offer will extend for the full year after the event and I’ll put it in writing for you. You may be asking if I will devote the time necessary to these partner deals. To insure that’s not an issue, I hired a full time assistant whom I’ve trained well and who also does 3-4 deals a month of his own. His job is to make sure your deals get closed. He’s strictly on commission so rest assured his heart will be in it. Well, I guess it’s quite obvious why I can give you double your tuition back. You probably don’t need a spreadsheet to see why I’ll be happy to do so. Maybe you can also see why I’ve packed so much info into this event for such a cheap price. Honestly, I’m looking for partners and lifetime friendships. That’s one of the side benefits for being a guru. I get to build relationships with good folks all over North America while helping them become financially free and making money for my family. It’s fun to be me. By this time you should know whether you’re in or out. If you’re in, simply Click Here to register now. The future is looking bright and I’ve got a lot more millionaires to create. Won’t you join me?